Classified kicked off 2016 with the release of Greatful, and now a track from that album has been given a new twist to keep the momentum rolling into summer. 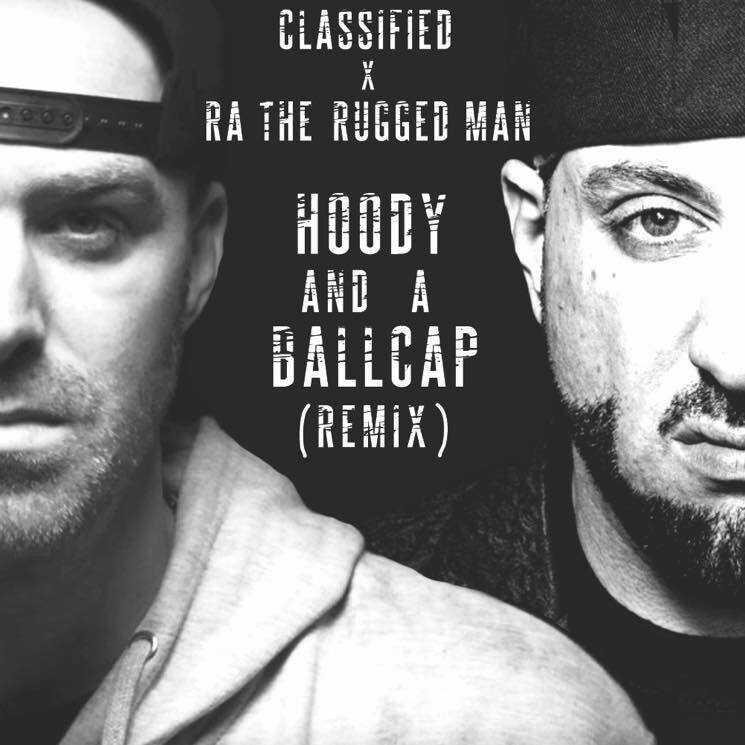 R.A. the Rugged Man has jumped in on "Hoody and a Ballcap," and Exclaim! is giving you the exclusive first listen to his new remix. Class's story of growing up and taking on the role of a father (as well as a Cancon shout-out to Tim Hortons) remains intact atop the beat's subtle groove, but now gets supplemented with R.A.'s fresh verse for some added edge. "This is a song for the underground heads," Classified tells Exclaim! "The ones who rock the hoody pulled up and the ballcap pulled down. It was actually the first song I recorded for my latest album Greatful and I hooked up this version with a verse from the legendary underground rapper RA da Rugged Man. If your into bars and beats, then this one is for you." You can hear the result of the rappers' collaboration by hitting play down below.